Just outside of Scranton, along Cabernet Drive in Scott Township, you’ll find a rolling 36 acre vineyard complete with a hand crafted wine bar, retail shop and dining area. 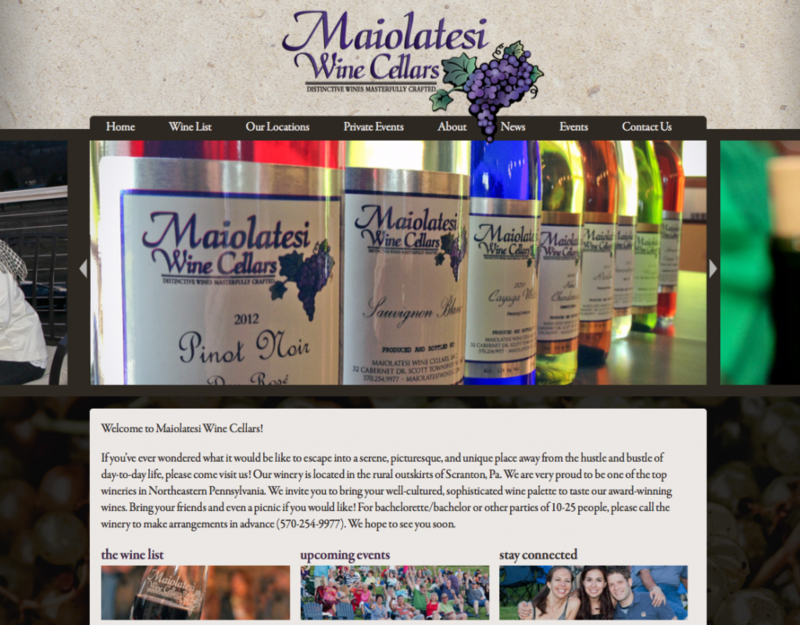 Since 1999 Sal Maiolatesi and his family have been offering up the finest in local vintages and tasting experiences to Northeast, PA residents. So when Sal approached Blackout for a new website this summer, we were more than happy to jump in. Utilizing their current logo a design direction that allowed for more photos and less restraints, Jessica came up with the following concept. Stop over, have a look around and when you’re finished, head out to the winery to see what Sal has bottled and corked today!